Social media like Facebook allow you to reach people that might be interested in your stuff. You’ll reach people who like your Facebook page, and you might even reach the friends of people who like your Facebook page. Some posts, however, seem to be much more successful than others. Why do some of your posts on Facebook get many likes, shares and comments, while others are largely ignored by your audience? In this post, I’ll help you optimize your Facebook reach. If you want tips to be successful on Facebook make sure to read this blog post by Neil Patel. Neil analyzed 1 billion Facebook posts and his tips are really helpful to start optimizing your own Facebook page. Although we can learn a lot from his best practices, it’s very important to remember that your Facebook page and your audience are unique. As you are trying out his tips, I would strongly advise you to analyze the reach and the engagement of your own Facebook posts. What posts does your audience like? Which posts reached a lot of people? And which posts were hardly noticed? What seems to work on your own Facebook page? And what can you learn from that? If you want to be able to predict which posts will increase your reach and engagement on Facebook, you should start by checking out the Insights tabs on your Facebook page. And make sure to check out these stats regularly. Look into the reach of each post (the number of people the post was served to) and the number of likes, shares and comments. If you do this on a regular basis, you’ll begin to notice patterns. Read more about Facebook Insights in Michiel’s post! Whether or not a post is successful on Facebook could be caused by countless things: the length of the post, the topic of the post, the day of the week. But it could also be caused by world events, the weather or by pure chance. You won’t be able to fully control or predict your success. However, analyzing aspects of previous posts should give you some clues about what works for your audience (and what doesn’t). The timing of your post matters. For some time slots (like at night) competition is low, for other time slots your audience will be more available and engaged. It’s a matter of testing which day and time will be most effective. For Yoast, weekdays are much better than the weekend. This will definitely depend on your audience. You’re most likely blogging about various topics and your audience will like some of them more than others. Check what posts do well with your audience; what topics are the most successful? Try writing more posts about those topics. Additionally, you could try to make your other posts look a bit more like the ones that are successful. Closely analyze the purpose of your post. Did you write this post to inform your readers, or to entertain them? Or, were you trying to sell your stuff? For Yoast, more “salesy” posts seem to get far less reach and engagements. Posts in which we announce a sale or introduce a new product seem to be the least successful ones in our timeline. Make sure to study the reach and engagements of posts with different kinds of illustrations, photos and videos too. Do posts with illustrations differ in their reach compared to posts without illustrations? Do posts with video get more likes or shares compared to the ones without? To really understand what a successful Facebook post looks like, you really have to dive into your Facebook Insights. 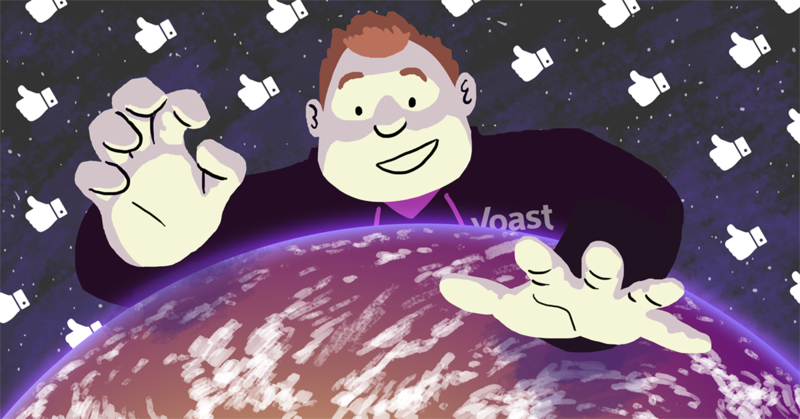 We’re currently taking our analysis a step further by doing an extensive research on what works on the Facebook page of Yoast. For all of you, the ability to predict which posts are going to be successful on Facebook will also be very valuable. So go ahead and check out your Facebook Insights and start analyzing your posts!